You must notify your landlord once you decide to move out of your rental, even if you have reached the end of your lease. You can notify your landlord by sending him an end of tenancy letter. This letter simply states that you do not wish to renew your lease on your current house or apartment. By sending this letter, you help keep your relationship with your landlord in good standing and protect yourself from future problems. 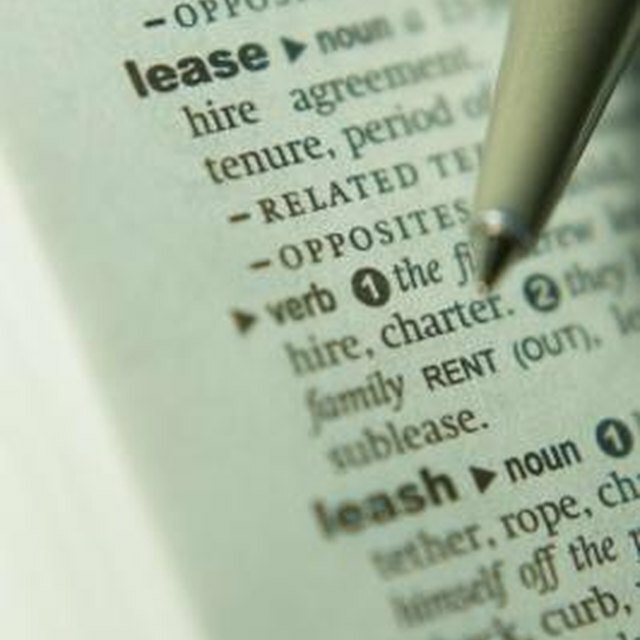 Read your lease agreement. Your lease will state how much advanced notice you must give your landlord when you plan to move out. Many landlord's require a 30-day notice, but your lease may state a longer time. Ensure you send the end of tenancy letter within this time frame. Type the current date at the top of the letter. Use the full month and year for the date. Align the date to the left of the page. Add a double space after the date. Type your landlord's full name to the left side of the document immediately following the double space. Type your landlord's full address in the space below the landlord's name. Add a double space after your landlord's contact information. Do Apartments Have to Prorate? Add a subject line to the letter. Type the opening "Re:" below your landlord's information. Follow the opening by writing the address of your current rental. Add a single space after the address. Type a formal salutation to your landlord, addressing him by his full name. For example, you can write, "Dear John Smith." Add a colon after your landlords name. Add a single space after the salutation. Inform your landlord that you plan to move out of your rental unit, and do not wish to renew your lease in the first paragraph of the letter. Include the date you plan to move out of the unit. Add a single space after the first paragraph. Request that the landlord complete a final inspection with you in the second paragraph. Include your new address and request that the landlord send any further communication to your new home. Add a closure to your letter, such as "Sincerely." Follow your closure by signing your full name. Mall the end of tenancy letter certified mail to your landlord. Allow for postal delivery times when you send your letter. Ensure the letter arrives within the time frame required in the lease. Double-check the spelling of your new address, since the landlord will use this address to return your security deposit.